The Trans European Policy Studies Association (TEPSA) is the first transeuropean research network in the field of European affairs. It consists of leading research institutes in the field of European affairs throughout Europe, with an office in Brussels. TEPSA’s aim is to provide high quality research on European integration based on a ‘Triple A’ approach: Analysis, Assessment and Advice in order to stimulate discussion on policies and political options for Europe. TEPSA is an international non-profit association under Belgian law (AISBL) and was established in 1974. Ever since then it has steadily increased its membership in response to the enlargement rounds of the European Union. Today TEPSA consists of 41 member institutes and associate members located in 35 European countries. TEPSA and its member institutes have engaged in a two-fold approach providing expertise on EU policies and politics combined with a vast experience in organising and conducting EU-wide research, training and networks. With its decentralised approach, TEPSA combines the strengths of its members and enriches the results of their work. TEPSA exemplifies the ‘bottom-up’ approach to European governance. TEPSA and its member institutes are a link between the EU and national level governments and the citizens. TEPSA aims at stimulating discussion on policies and political options by organising research projects, conferences and facilitating interaction between the research and policy-making communities and between citizens from different member states. 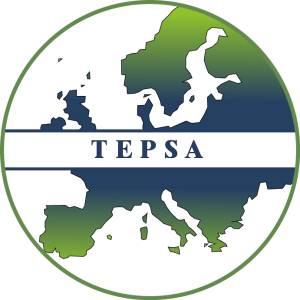 TEPSA’s activities are undertaken in close cooperation with partners ranging from TEPSA member institutes from all over Europe to EU institutions, national governments, universities and civil society. TEPSA’s Chairman is Prof Dr Michael Kaeding (Jean Monnet Chair ad personam at the University of Duisburg-Essen), and its Secretary General is Prof Dr Jaap de Zwaan (Emeritus Professor of European Union Law at Erasmus University Rotterdam). The association is governed by a Board and a General Assembly, the latter comprising all TEPSA members. TEPSA member institutes come together twice a year in the Pre-Presidency Conferences (PPC), TEPSA’s flagship activity discussing the priorities of the incoming Council Presidency and the current and future EU agenda with representatives from national and European political institutions, civil society, media and academia. On this occasion, TEPSA provides recommendations to the incoming Presidency and to the EU more broadly.